Two thought provoking videos that, when bookended, really open my eyes to the possibilities/potential inherent in digital media. This is a great time be an artist, producer, film maker, developer, publisher, advertiser, entrepreneur. Our time is now. 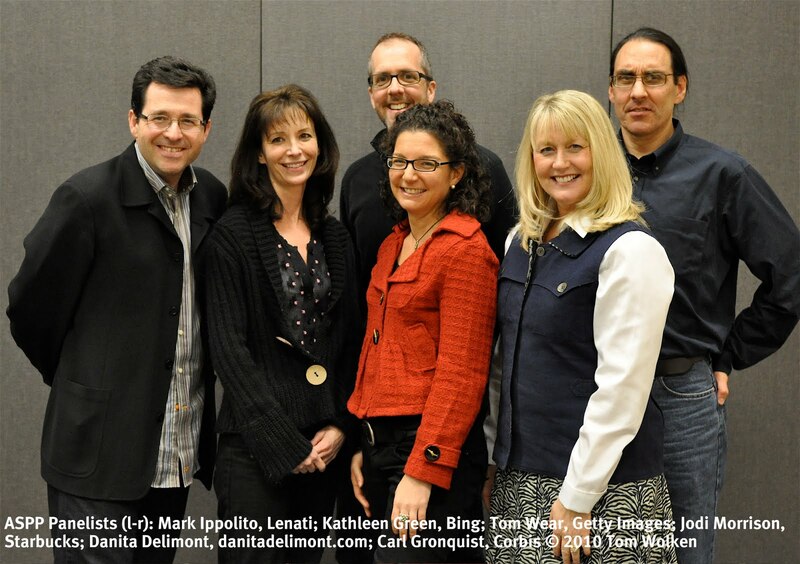 What happens when you pair top art buyers from Microsoft’s Bing and Starbucks, with editors from Getty, Corbis and Danita Delimont Agency and ask them to share their knowledge of what images they buy/sell and why? Well, whether you are an art buyer/editor/designer or a photographer/producer, if you were in attendance at "Strategies for Successful Stock Shooting" hosted by ASPP you walked away with a boatload of insights that should help improve your chances of success in the worldwide stock image marketplace. Consider all media: Buyers are integrating still images and video across a range of media both print and onine. Photographers who create images that are shot to meet the unique requirements of each media will be rewarded with a greater share of sales. Empowered with DSLR cameras capable of capturing HD video, Delimont recommended photographers add footage to their repertoire. Doing so can grow sales by offering clients both still and moving images of the same subjects/locations. 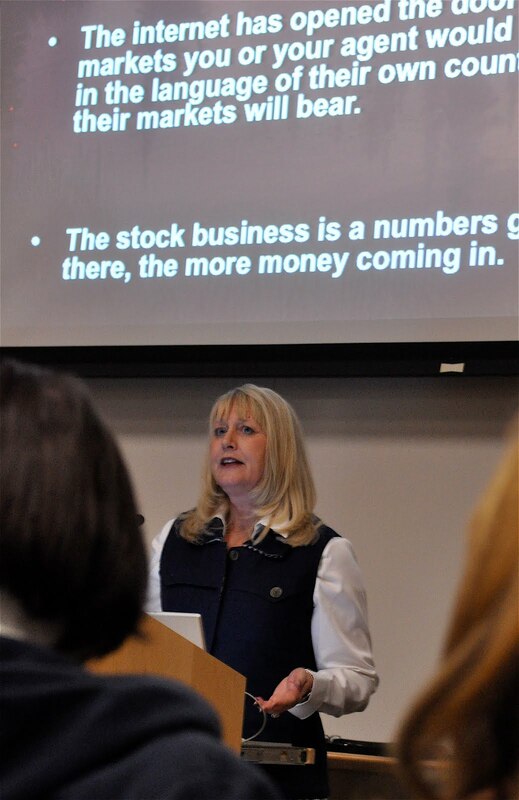 Local content for global markets: Danita stressed the importance of having deep coverage of local subjects and work with agents in international markets who won’t have the ability to produce the depth of images photographers can create literally in their own backyards. Delimont used the example of placing images from San Juan Islands with an agent in Japan, whose Japanese photographers had little coverage of the San Juans, but for which Japanese tour operators regularly request images. “I want to know more”: Supporting Bing’s primary identity as a search engine, Green and her team of editors look for images that only begin to hint at the story that belies the image. 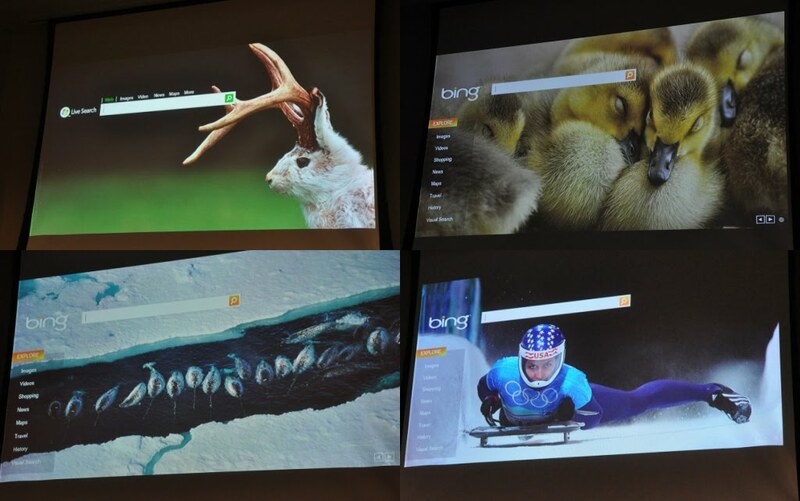 Bing makes ample use of mouse-overs that reveal additional information about every image inviting users to click and learn more. Green cited the high volume of email Bing receives from teachers and students who are return to Bing specifically to enhance their teaching and learning. Big nature (include people only to show scale). 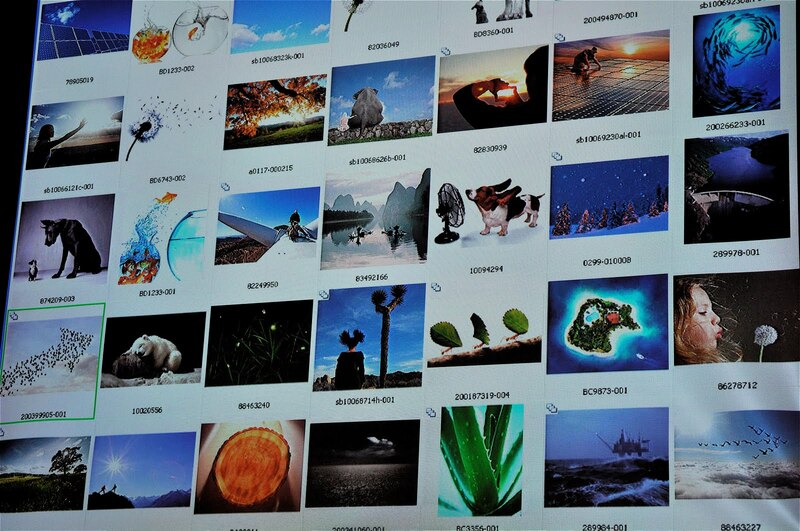 Here are just a few examples Green shared with the audience and give evidence of the criteria used to select images for Bing. As Community Manager for Getty Images’ Flickr forum, Tom Wear has a unique perspective monitoring both buyer trends as well as global creative trends among thousands of Flickr photographers now represented by Getty Images. Tom provided stats on Getty’s best selling images from Rights Managed and Royalty Free collections. Green images: whether simple compositions of a water droplet at the tip of a fern frond or a field of wind turbines with a child flying a paper airplane in the foreground, green images are some of the most in-demand and highest selling images. Abstract: Images that give creatives flexibility to communicate themes/messages as well as allow maximum flexibility to adapt images to layouts. A long exposure image of streaked headlights on a Los Angles freeway has been used for telecom, energy, finance and medical clients generating over $20,000 in sales. Concepts sell: A simple of image of a cross-cut log communicates multiple concepts (longevity, tradition, time passage, etc) and as a result enjoys repeat sales totaling more than $16,000 to date. Skylines: Often used as an icon or metaphor to quickly convey place names, skylines are always in demand. And, since buildings change the look of skylines over time, images always need to be refreshed. Hyper-local: Become an expert on unique locations, the time of day/year that yield images only a local can capture. 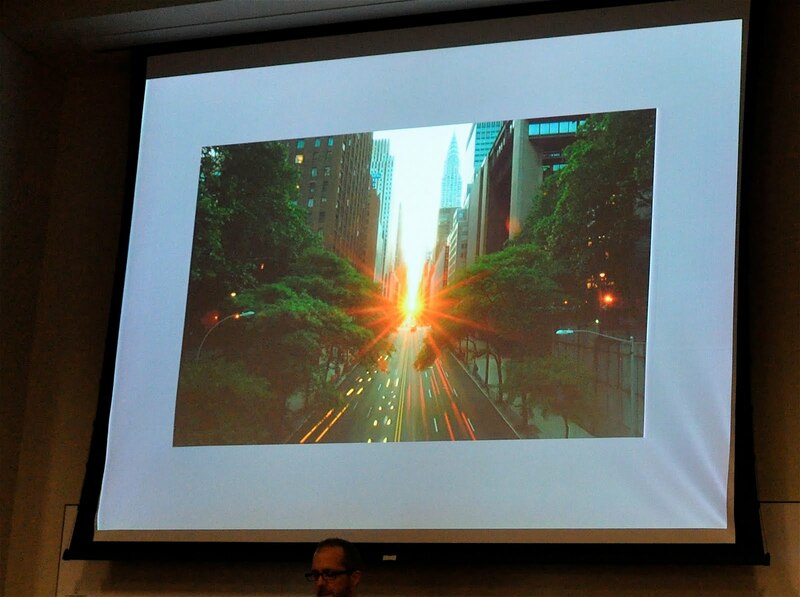 Tom cited an example of “Manhattan-henge” which apparently only a few dedicated local NYC photographers know when to shoot and as a result, have created a unique vantage point of NYC that is now in demand from advertising and editorial clients alike. Hyper-realistic: Moving beyond gimmick, HDR images are gaining in popularity with image buyers especially when applied to familiar scenes. Wear showed images of an oft photographed Hiroshima memorial to show how HDR enhanced the mood of the image making it distinct and appealing to buyers. Here is a screen shot of Getty Images 2009 top selling rights managed and royalty free images Wear shared with the audience. Starbucks makes ample use of images to caffeinate its global brand. 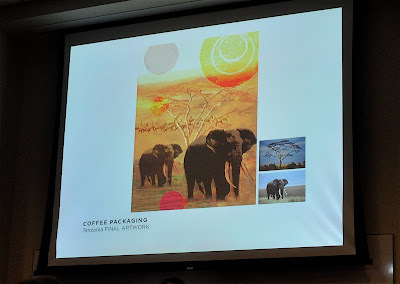 Sr. Art Buyer Jodi Morrison, works with a large team of designers, artists and illustrators to produce everything from packaging, products and displays that appear in Starbucks stores worldwide. Because of their unique requirements to distribute products globally, Starbucks often prefers to license royalty free images to simplify distribution and avoid the additional time and expense required to meter rights management. Starbucks also maintains a corporate image library that it makes available to its design and marketing teams in its Seattle headquarters. All images are licensed for worldwide global rights and while fees paid to photographers per image are lower than traditionally commanded for worldwide rights, but participating photographers are licensing more images and hence generating significant revenue. 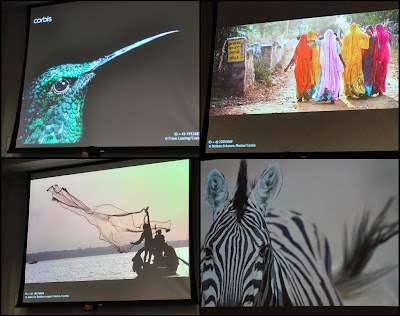 As an editor for one of the world’s most prestigious image libraries, Corbis’ Carl Gronquist, Director of Editorial Photography, has the privilege to work with world-renowned photographers like Frans Lanting, Louie Psihoyos, Stuart Westmoreland, plus many others. Gronquist shared some of their great images and analyzed why their work continues to be in demand. Eye contact: Whether beast or bird, images that allow views to make eye contact with subject often wind up on the best seller list. Unique POV: Gronquist showed several images from photographer Paul Souders portfolio that illustrated Souders command of POV. Whether getting in close to a feeding whale or floating beneath melting icebergs, Souders point of view conveys a powerful story within a single frame that viewers can instantly react to. Unique icons: Statue of Liberty, Eiffel Tower and Taj Mahal images are a dime a dozen, but in the hands of a master photographer these all too familiar icons are captured with a fresh perspective. Gronquist’s example was a perspective of the Taj framed by an adjoining archway with the silhouette of two small birds compositionally arranged in the image foreground to emphasize the unique perspective and scale of the Taj in the background. Always look for the unusual angle, light, juxtaposition, etc when photographing the familiar and buyers will take notice. Closing the presentations the panel responded to Q&A. Moderator Mark Ippolito posted the quested asked whether buyers prefer to buy from photographers directly, agencies or websites. Among this group of buyers, there was a stated preference for buying from photographers directly and both were open to getting emails and viewing online portfolios. Morrison emphasized the importance of responsiveness, turnaround and convenience whether working with an individual photographer or large agency. Morrison keeps a tickler file of photographers whose work she admires and will often call them for stock and assignments when the right opportunity arises. Referencing the depressed economy, agency panelists and buyers alike all cited the challenges of having to do more with less. Delimont commented that publishers are allocating a specific percentage of budget to lower cost microstock and royalty free images creating downward pressure on pricing for rights managed images. A bright spot, Green commented that while budgets have been tightened, images remain an important element to Microsoft’s overall marketing and promotion efforts and hence healthy budgets have been preserved for getting the images they need. Thanks to the panelists for their generosity and all the volunteers at ASPP for putting together this terrific event. A podcast of the entire event is also available on the ASPP website. 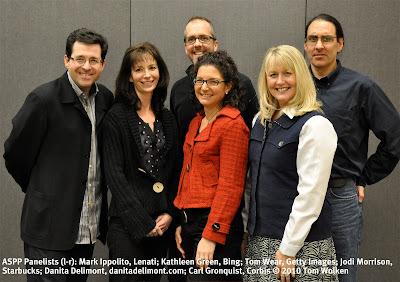 All event photos in this post provided courtesy of Tom Wolken.